Sana Safinaz is a famous brand working in Pakistan for many years. Sana Safinaz is famous for launching new dresses on the arriving of the new season every year. Hence ladies wait for Sana Safinaz very excitingly. As you know winter is arriving and in Pakistan, Sana Safinaz is the big brand for the winter season. Women always select best for them and for their dear one hence ladies prefer Sana Safinaz for winter shopping. Winter Shawl by Sana Safinaz has been launched and now available in whole Pakistan. These dresses collection looks more gorgeous and attractive due to their elegant dresses designs and embroidered dresses. As you know the colors of dresses are the main thing which is noted by ladies and beautiful and shining colors looks sexier on girls. 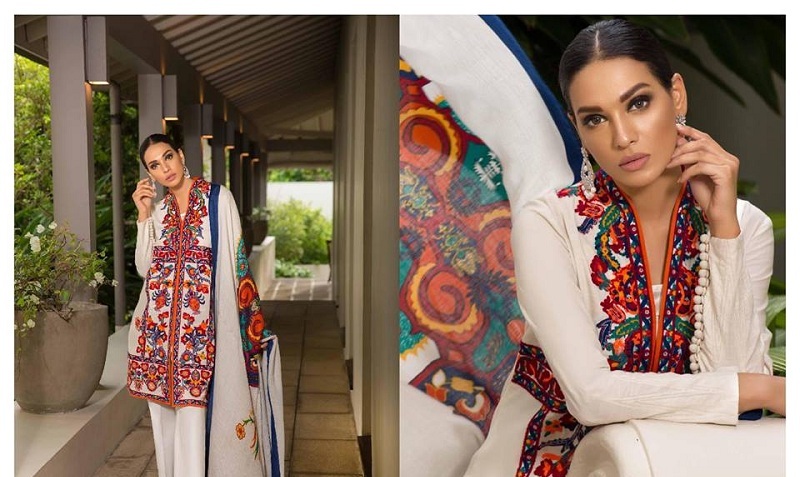 Sana Safinaz has launched new Winter Shawl collection. New dresses with winter shawl collection are a complete and unique collection for ladies. Sana Safinaz brand is famous for neat and heavy embroidery work. In embroidery work, these dresses are decorated with natural and colorful stones, beads and colorful small balls. Furthermore, these dresses also have pattern designed. Girls want to adopt the latest styles according to the new fashion. Therefore only famous and up-to-date brands can make girls fashionable. In conclusion, the Prince of dresses ranges from PKR:5,990 to PKR6,890. Theses luxury dresses are gorgeous and Winter Shawl makes it more marvelous.